Wildlife smuggling rackets and black magicians are on the prowl in Bangalore, hints recent wildlife rescues from the city. 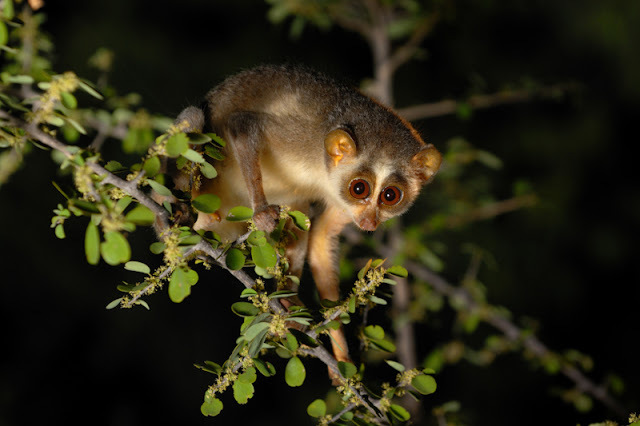 Officials were able to save six severely injured Slender Lorises- a slow-moving, nocturnal primate- in the last two months. All of them are suspected to be smuggled into the city and were tortured by black magicians. According to People for Animals (PFA), an NGO involved in rescuing animals, all the rescued Lorises were injured in a specific way. The activist of the NGO alleges that the nature of the wound found on these rescued animals show that they are being used by black magicians. Kishan C H, General Manager of the Bangalore chapter of People for Animals told the media that the animals are injured in the most barbaric way. According to reports, the animals were in bad shape with their arms or legs crushed or cut off. This smallest primate, found only in India and Sri Lanka, is targeted by black magicians and folk medicine practitioners for the belief that the animal has special powers and medicinal properties. “The belief is that whatever is inflicted on the animal will in turn happen to the person's enemy," said Kishan. The NGO was able to spot the animals from different parts of the city. While some of them were reportedly found from a farm house near Nelamangala, one was taken to a veterinary hospital first and later reached PFA. Rescuers were able to find two of the animals at Shivajinagar. Despite the rescue efforts, three out of the six rescued animals were not able to survive. The other three were later returned to the wild with the help of forest officials, said PFA sources. It is suspected that the trucks carrying wood from the outskirts of the city would have been used to smuggle Slender Loris at least in Shivajinagar, since it is the major center for carpentry in the city. According to M Nagaraj, Forest Range Officer, South Bangalore, the forest officials have noted that the use of Slender Loris for black magic is turning rampant in the city. “We have already come across six instances in two months. We have not made any arrests yet but are keeping a close watch on it”, he said. Experts suspect that tribes are being paid for catching the animals and handing over to smuggling rackets. It was earlier reported that tribes are paid by photographers to catch Slender Loris to photograph it.